LAMP (Linux-Apache-MySQL-PHP) servers power a huge portion of the global Internet. If you're using Wordpress, Joomla!, Drupal, or any of the myriad other content management systems, you're probably running them on a LAMP server. In this blog post, I'll show you the basics of installing the LAMP stack on an existing server running CentOS 6.3. 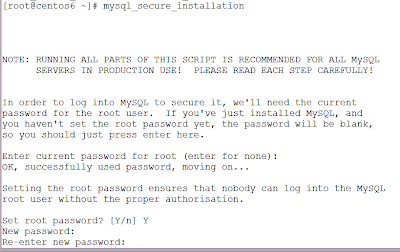 You must have root access to a server running CentOS 6.x. 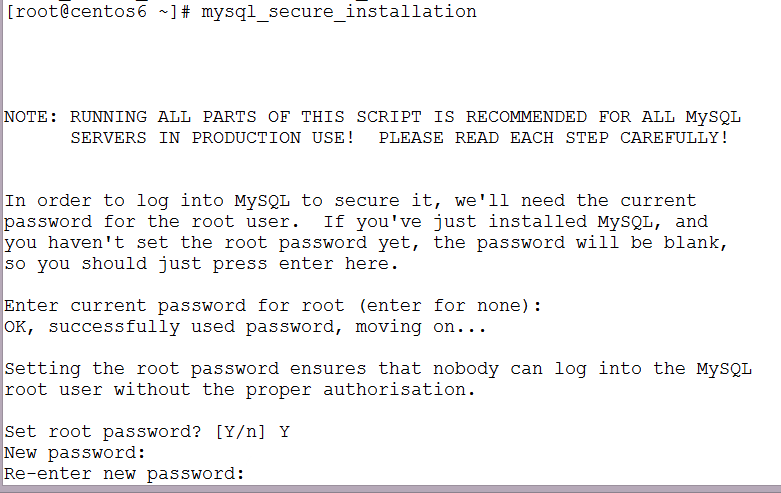 These procedures should also work on a RedHat 6.x installation. 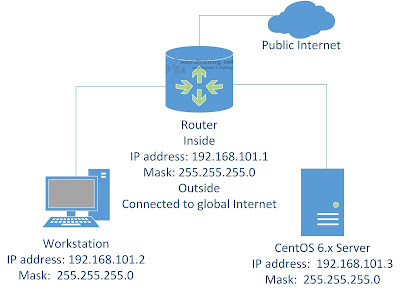 The server should have access to the public Internet, either directly or through a firewall or router, as indicated in the network diagram. You should also be comfortable working in the command-line interface, including the use of yum to install software and vi (or any text editor) to edit configuration files. For this tutorial, I'm using a server named centos6.soundtraining.local configured with an IP address of 192.168.101.3. You'll probably want to use a different host name and IP address. 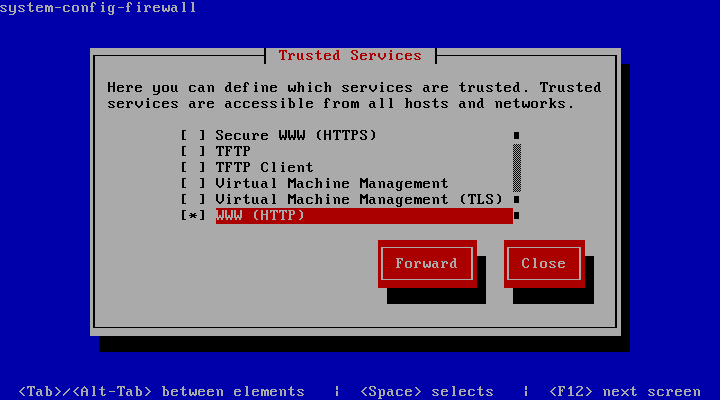 Test your installation by pointing a browser to http://192.168.101.3. You should see the default Apache landing page. If not, check that the Linux firewall isn't preventing connections. You can use the command system-config-firewall to check and modify, if necessary. Say yes to Remove anonymous users?, say yes to Disallow root login remotely?, say yes to Remove test database and access to it?, and finally, say Yes to Reload privilege tables now? Now, point a browser to http://192.168.101.3/info.php and you should see the PHP info page. If you're not able to see the PHP Info page, you may need to modify your firewall's configuration to allow port 80 (WWW) traffic to reach the server, as detailed in the next section. If you are able to connect to the PHP Info page, you can skip the next section and go to the section titled Adding Additional Modules. 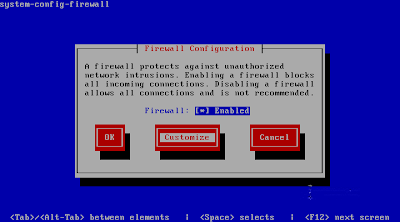 If you can't reach the PHP Info page, your CentOS server may have a firewall enabled. The easiest way to allow port 80 (WWW) traffic to reach the server is by using the system-config-firewall tool. At a command prompt, issue the command system-config-firewall. When the system-config-firewall tool opens, use your tab key to move the highlight to the Customize button and press the Enter key. 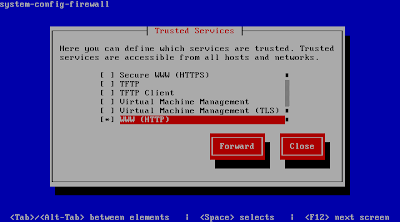 In the Trusted Services window, use the down arrow key to move the highlight to WWW (HTTP) and press the space bar to select WWW (HTTP) as a trusted service. (You may want to do the same thing with Secure WWW (HTTPS).) Then, use your tab key to move the highlight to the Close button and press the Enter key. In the Firewall Configuration window, use your tab key to move the highlight to the OK button and press the Enter key to apply the changes. Now, try connecting to http://192.168.103.1/info.php in a browser again. This time it should work. I've seen other tutorials recommend php-imap and php-ldap as part of a generic LAMP installation, but unless you know you need them, I'd leave them out. My thought is, as usual, to keep the installation as lightweight as possible to avoid having any unnecessary components running, thus reducing the attack surface. You will most likely want to install phpMyAdmin to help manage the database. I've created a separate tutorial for that here in another blog post. 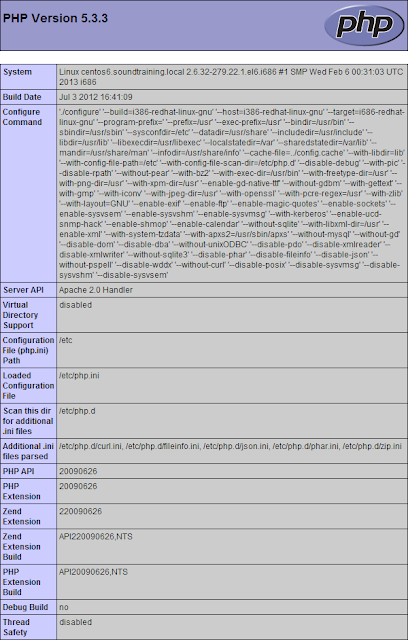 Is the process of installing PHP on Debian same as for CentOS? My website is build with PHP and installed on Debian, but it was done automatically through Cloudways platform. I wanted to know how to do it manually, if I ever need to. You're smart to want to know how to do it manually.